The fastest-selling game on Xbox Live has a new, influential fan. 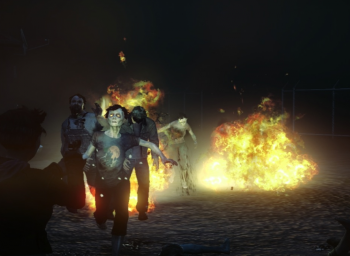 State of Decay, the zombie apocalypse title that recently became the fastest selling original title on Xbox Live, now has a new, highly-placed fan: Microsoft's Phil Spencer. When asked whether Microsoft would support the title switching from Xbox 360 to Xbox One in the coming months, Spencer replied in the affirmative. "I like this idea," he Tweeted. "Those that have followed this studio know that they have bigger plans for the franchise. I'm in." Whether or not Spencer's words will translate to anything more significant is something for the future. State of Decay, for those not already familiar with the title, is Undead Labs' open world sandbox survival horror game. Your playable characters - over 50 of them - have to gather supplies, fortify their position and do their best to stay alive, in a world gone mad. Forward planning is key to keeping your survivors alive; put a foot wrong, and you're zombie bait. Though this one is intended for a PC release at some point, right now it's only on Xbox Live. Given Microsoft's recent troubles, a popular title like this headed for Xbox One could be a real shot in the arm for its next gen console.